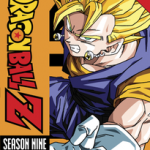 3.5 Stars of Classic Manga. 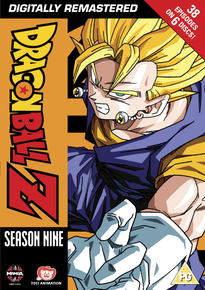 Season 9 is the last in this long running series in both anime and manga from the pen of Akira Toriyama, spanning episodes 254-291. Majin Buu the much feared fighter has had a change of heart after Bee (a little puppy) came into his life along with Mr Satan/Hercule the World Champion Fighter. Can this ruthless fighter truly be a changed man? Maybe but things change when the people on the hill start firing on Buu's house.They shoot Bee but Buu is able to resurrect him when the shooting stops. Later the house is rebuilt to look like a big Bee (the dog) and Mr Satan and Buu are getting on surprisingly well. Mr Satan is cooking tea when one of the earlier shooters creeps into the kitchen and confronts Mr Satan, then shoots him dead.